Chariots of War details a remarkable and little known facet of naval history. Invented in 1935 by two Italian naval engineers, the small submersible, (often nicknamed the ‘Human-Torpedo’ or ‘Chariot’) did not see active service until the Second World War. A series of attacks were made by the Italian Navy against British vessels anchored at various Mediterranean ports. The Italian objective was to reduce the superior power of the British fleet, and in turn gain control of the Mediterranean. In December 1941 three Italian ‘Chariots’ entered Alexandria Harbour; they sunk a British tanker, and seriously damaged the battleships, Queen Elizabeth and Valiant. His Royal Highness The Duke of Edinburgh was a Midshipman aboard the Valiant but miraculously had to leave the ship just prior to the attack. The Italian success resulted in increased security at all British held, Mediterranean ports. Additionally, Prime Minister Winston Churchill immediately instructed the Admiralty to form a British, ‘human-torpedo’ unit. With the armistice between Britain and Italy, members of the Italian ‘human-torpedo’ teams had been split. Some members remained loyal to Mussolini and continued to fight alongside the Germans. Others, declared allegiance to their King and vowed to fight with the British. As would be expected, both the Italians and British remained suspicious of each other although technically they were now on the same side. On April 18th 1944; after the British had had some success with their ‘secret weapon’; the Admiralty issued an official press release detailing their ‘secret weapon’ – the following day, the ‘human-torpedo’ featured on the front page of every newspaper throughout Britain and an exhibition was mounted at Harrods Store in Knightsbridge. 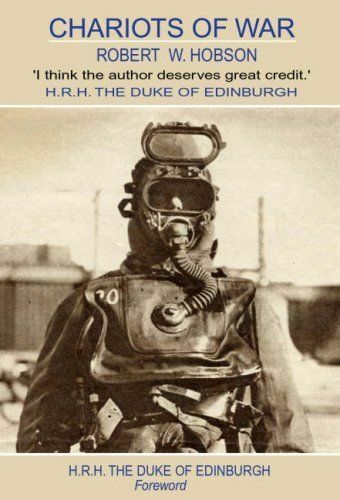 The ‘human-torpedo’ and the exploits of the exceptional band of men that operated them was at last in the public domain. Obtainable through all good bookshops or through this company an autographed copy.